Large acreage tract in Columbia County with large shared pond (around 10 acres). Property consist of 72 acres with about 5 acres of open land, about 50 acres of around 20 year old planted pines, about 10 acres of mature hardwoods & about 6 acres of pond/swamp. Re-coop a lot of your investment by cutting the timber on the property in the near future. 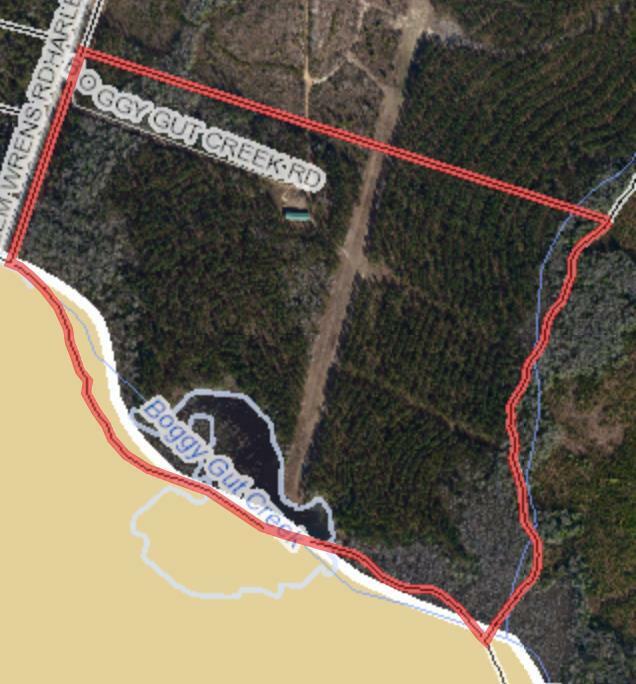 The back and right hand property lines are creeks. There is over 4000' of creek frontage running the property lines. With this natural water this is a great recreational tract with great deer & duck hunting along with pond fishing. There is also a well & a 100x30x14 pole barn with 3 sides closed in with metal & one open side. This is a great place to store your toys and equipment. Property is only a few minutes outside of Harlem & about 15 minutes from Fort Gordon. This is one of the few large acreage tracts for sale in Columbia County with a pond. Property is in conservation use greatly dropping your taxes.